Saudi Arabia’s oil shipments to the United States have declined sharply despite closer ties between the two nations under President Trump. American imports of Saudi crude dropped 14% last year to 943,000 barrels per day, according to US government statistics. That’s the lowest since 1988, President Reagan’s final year in office. The trend, driven by Saudi Arabia’s desire to boost oil prices, has accelerated lately. The United States imported just 690,000 barrels per day of Saudi crude in December, down 32% from the year before, according to the Energy Information Administration. Trump, who as a candidate threatened to ban Saudi oil, met with Saudi Crown Prince Mohammed bin Salman on Tuesday at the White House. The two leaders applauded improving relations between Washington and Riyadh, particularly on security issues. Saudi Arabia, the leader of OPEC, made a strategic decision last May to slash shipments of oil to the United States. The goal was to accelerate the impact of OPEC’s production cuts by forcing down US oil stockpiles — a major force keeping a lid on oil prices at the time. The move paid off: The price of crude has climbed sharply, to more than $ 60 a barrel. “It was totally smart,” said Matt Smith, director of commodity research at ClipperData. He called the decision a “turning point” for the OPEC production cuts. “Saudi realized its success hinged on cutting flows to the largest, most transparent and timely market in the world,” Smith said. Oil traders around the world watch US energy statistics closely because they provide a window into the appetite of one of the world’s biggest oil consumers. Numbers released by some other major countries are published with a lag, and can be subject to fudging. The United States has less appetite for foreign oil in general. Thanks to the shale boom in places such as Texas and North Dakota, monthly US oil production spiked to a record high late last year. Forecasters believe the United States could eventually overtake Saudi Arabia and Russia as the world’s biggest oil producer. The United States imported 7.9 million barrels of crude oil a day last year, according to the EIA. That’s down from more than 10 million barrels a day a decade ago, though it’s up a bit from recent years. Interestingly, Iraq has stepped up its oil shipments to the United States. Iraqi oil imports to the US surpassed Saudi imports in October for the first time since 1985, according to ClipperData. That trend was even true at the giant Port Arthur refinery in Texas, which is owned by Saudi Arabia’s state oil company. In September, the Port Arthur facility shipped more oil from Iraq than Saudi Arabia for the first time ever, according to ClipperData. 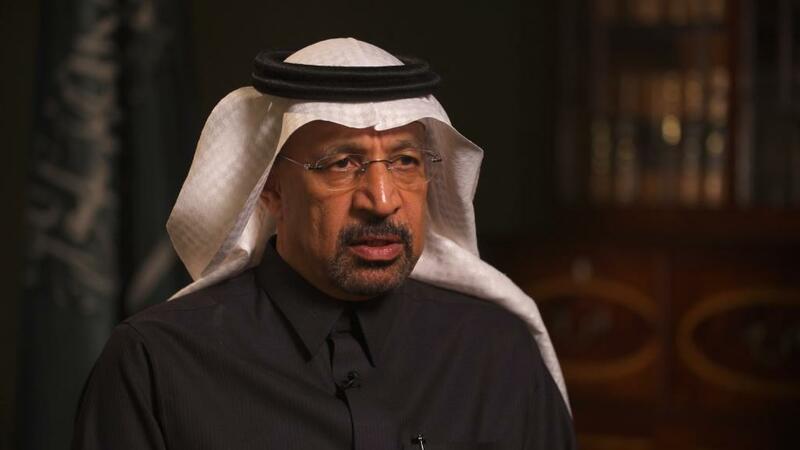 “Saudi Arabia is sacrificing its own barrels for the greater good” of OPEC, Smith said. Trump has pledged to make American energy independent from “our foes and the oil cartels.” While running for the White House, Trump told The New York Times he would consider halting imports of oil from Saudi Arabia and other Arab nations if they didn’t do more to fight terrorism. “Without us, Saudi Arabia wouldn’t exist for very long,” Trump told the paper in March 2016.